This is the most laid back of the events I host here. There are no challenges to meet, no limits to how little or much you can participate. 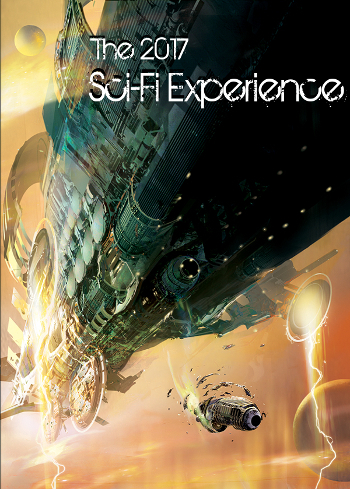 You can read short stories, novels, comics, art books…anything with a science fictional bent. You can read nonfiction about space, space travel, other planets, etc. You can watch television shows, films, YouTube series. You can play video or table top games. The event runs from start of December to end of January. I’m gleefully joining again. I have a lot of SF books to read both on my on shelves and from libraries. I just finished watching the Expance at Netflix so I’m thinking of reading Leviathan Wakes by James R. A. Carey. But I have five Leigh Brackett books which I managed to recently acquire, Karen Wyle’s thoughtful near-future book Who, Ann Leckie’s Ancillery Justice, and many others. The first books I’ll read for this event is likely Timothy Zahn’s Cobra and John David Krygelski’s Time Cursor. I’ve haven’t read anything from Krygelski and only Star Wars novels from Zahn but not his own fiction before.